How you communicate makes all the difference when it comes to successful outcomes, whether it is sales, product development, customer retention, finance or operations. Are you interested in a meaningful exchange? What type of questions are you asking? Are you asking questions to collect information, draw a conclusion or are you looking to expand your understanding? In addition to sharing information, a big part of our communication is listening. How much listening are you doing? In our regular communication, we spend approximately 60% of it listening, yet only retain 25% of what is heard. Most people are not listening with the intent to understand, but instead with the intent to reply. Our listening can be improved by becoming more engaged; by releasing the need for certainty in our conversation and being open to new perspectives. Genuine inquiry means being present, listening and being curious. A CEO of a company working with large commercial real estate properties improving energy efficiency once told me that he had an affinity to sales people with music backgrounds. When asked what he meant, he said that when they enter a building, they are not just listening to what the client has to say but they are also in tune to the sounds of the building. They have an ability to identify system and maintenance problems through listening and inquiring, often to the amazement of the prospective client. Great listeners are able to connect on a number of levels. They are able to make connections between what is occurring in a conversation; what is being communicated through non-verbal cues; and what they can learn from their surroundings. They are able to make correlations between previous conversations as well as disparate threads of conversation and they are skilled at posing open-ended questions that engage others in a discussion. An executive of a company providing a Software As a Service (SaaS) product expressed concerns about the lack of interest from potential customers following product demos. Curious to know where the problem lied, he began asking his sales team to walk him through the demo discussion. He discovered that when a sales member learned that a potential client used a software that was not on the list of programs in which their product integrated, the sales member proceeded to end the meeting. What the sales team member was not asking was “What features of that software are critical for you? Does your entire work force use it or is it used by a certain group/department? How else do you use the software? What type of support do you receive on that product? What has changed since you last purchased that software? The sales person entered the demo with one outcome in mind and lost an opportunity to learn more about the company, their perspectives, assumptions and challenges. Too often, people engage potential clients or colleagues with a script about their product, service or idea. They have an internal dialogue on how they will rebut or defend their position as opposed to being present and truly listening to what the person is saying. As a result, they miss opportunities to collaboratively identify new possibilities. Why do some people ask good questions and others don’t? Questions and listening are key to discovery. 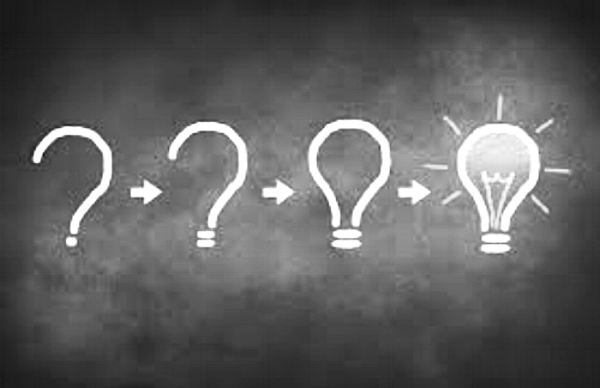 Good questions lead to aha moments that spark brilliant solutions. They require an ability to listen, adjust and pivot in order to find the information that nobody else picked up on. How do you ignite curiosity? Build questioning skills? Explore the difference between discovery questions vs provoking questions which lead to deeper discussion and understanding. The better the guidance and training, the more eager your team members will be willing to engage. What actions, training or strategies have you employed to create better listeners and questioners? Please share your stories with us at info@ArtScienceGroup.com . ArtScience Group is an executive coaching and facilitation company offering services both locally and globally. For additional information about our services, please visit our website at www.ArtScienceGroup.com or email us at info@ArtScienceGroup.com .